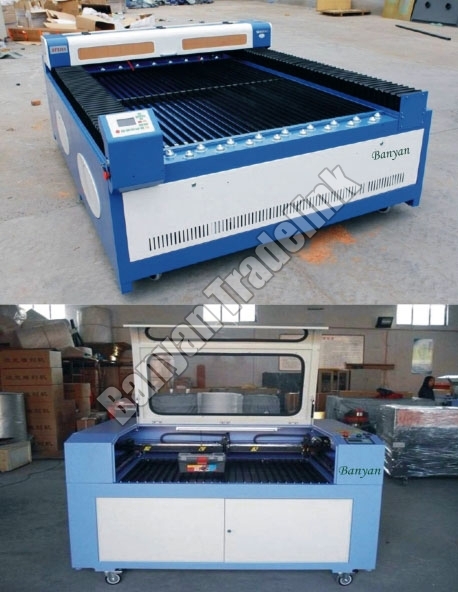 Acrylic Laser Engraving and Cutting Machines are used for materials like high thickness acrylic material, MDF, plastic, rubber, bamboo, wood etc. It performs engraving and cutting action with high speed and accuracy. We are second to none in import, supply and export of Acrylic Laser Engraving and Cutting Machines from Gujarat. The offered Acrylic Laser Engraving and Cutting Machines use Hermetic CO2 Glass Tube with a laser power of 80W, 100W, 130W and 150W. It can also be configured with high power lasers.